Sudanese-American musician Sinkane presents a Three Minute Epiphany on Depayse. Depayse. is a French word, which means to be removed from one’s habitual surroundings. Sudanese-American musician Sinkane presents a 3 Minute Epiphany on Depayse. Depayse. is a French word, which means to be removed from one’s habitual surroundings. 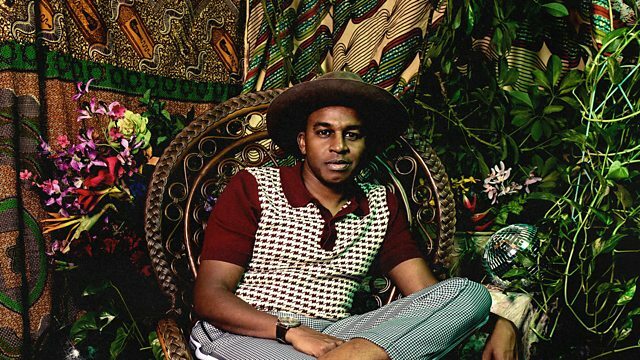 In this interview, Sinkane aka Ahmed Gallab, speaks candidly about identity, finding a sense of home in this world and his musical influences, which included Sly Stallone and George Clinton, combined with the beautiful music of east Africa. Safe in the Hands of Love.